No more unfinished backs and the ability to display more merchandise! 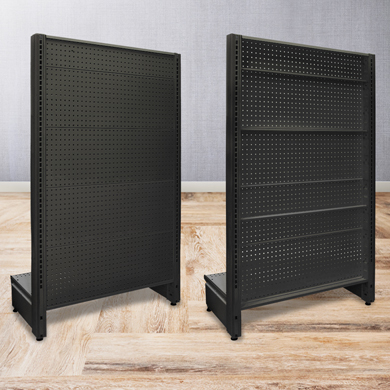 This pegboard back panel kit is designed to fill the open gaps between end cap and double-sided gondola unit. 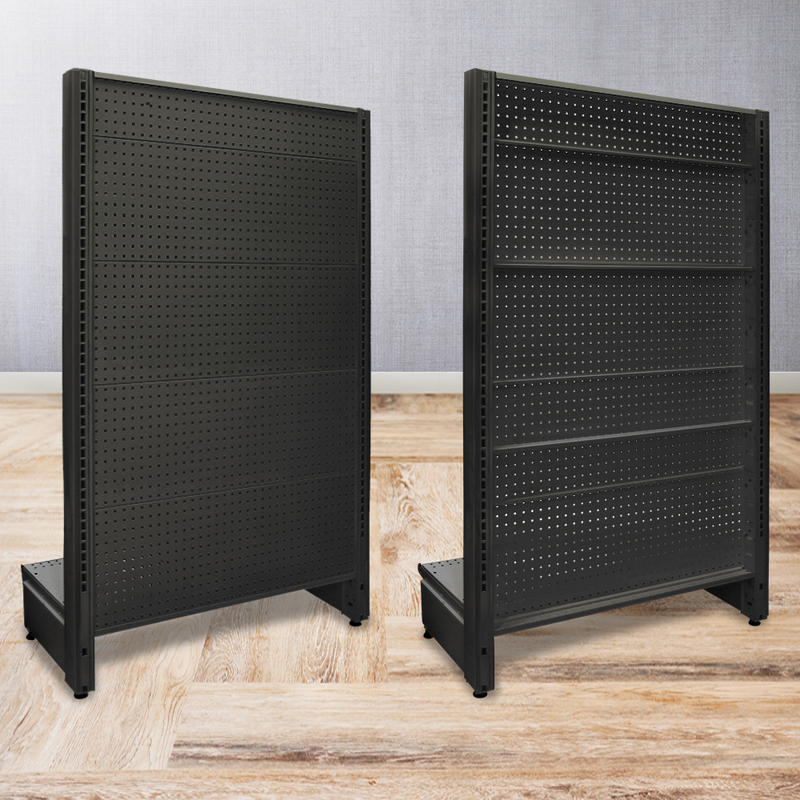 Constructed with heavy gauge steel, these panels can be easily added to the back of the gondola end cap display to create a finished look. Please note: Gondola unit sold separately.